Cast your mind back to IFA 2012 and you'll perhaps recall news of the Asus ZenWatch - the first wearable device from the Taiwanese company. We had a pretty comprehensive look at the device back then, and Asus has made no secret of the fact that it's on the way. But now, it looks like we have a launch date. 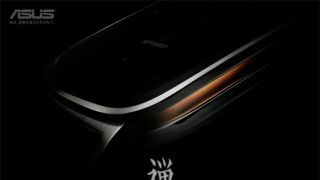 According to a new page on Asus' site, the ZenWatch could be officially launched at an event the company has planned for October 28. Going on the teaser pictures, it looks like we'll also be seeing the Zenfone 6 or Zenfone 5 at the event. Asus led its ZenWatch announcement at IFA with "Fine Watch Craftsmanship", and as we noted in our hands on review, the device has some serious potential. The watch runs on a dual core Qualcomm Snapdragon 400 processor with 512MB of RAM and 4GB of on-board storage. The display is a curved rectangular AMOLED one, measuring 0.63-inch diagonally with a 320 x 320 pixel resolution. What separates the ZenWatch from the likes of the Moto 360 or LG G Watch is the ZenUI that Asus has put on top of Google's Android Wear OS. There's 100 different watch faces to choose from as well as a couple of extra features like Find my phone, Remote Camera control and smart gestures.